Newly released emails show reporters telling the Obama Department of Justice that they were unenthusiastic about covering the tarmac meeting between former President Bill Clinton and then-Attorney General Loretta Lynch during the 2016 campaign. Clinton and Lynch met privately aboard Lynch's plane at a Phoenix airport in June 2016. 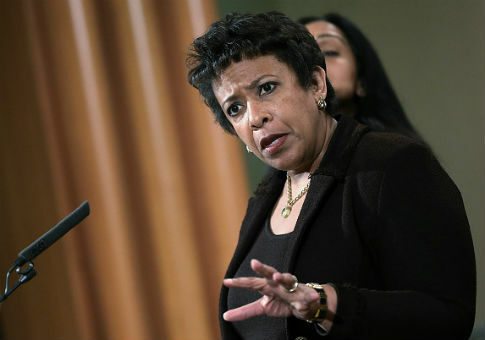 Critics charged that the meeting was inappropriate given that Lynch's Department of Justice was actively investigating Hillary Clinton for her use of an unsecured private email server during her tenure as secretary of state. Emails obtained by the American Center for Law and Justice show that reporters at the New York Times and the Washington Post told the Department of Justice's director of public affairs at the time, Melanie Newman, that while they were writing stories on the controversy, their editors were making them do it. "My editors are still pretty interested in it and I'm hoping to put it to rest by answering just a few more questions about how the meeting came about-who approached who, how did they realize they were in the same place," the Post‘s Matt Zapotosky wrote on June 30, 2016, two days after the tarmac meeting. In another email from the same day, the Times‘ Mark Landler introduced himself and said he had "been pressed into service" to write about the meeting. Politico‘s Hadas Gold reported Tuesday that Landler, a White House correspondent, used that phrase because its normal Justice Department reporters were not available. According to a newspaper spokesman, Landler was assigned to fill in for them. Newman also indicated in an email that she had spoken to an ABC producer, who decided not to run with the story. She wrote that the producer said "they aren't interested, even if FOX runs with it." UPDATE: Tuesday, 3:27 P.M.: This article was updated with comments from the New York Times about Landler being assigned to fill in for Justice Department reporters. This entry was posted in Politics and tagged Bill Clinton, Department of Justice, Loretta Lynch, New York Times, Washington Post. Bookmark the permalink.